Unethical Practice #6: Agents who withhold useful information. "Buying a home is probably the single most complicated transaction you’ll ever deal with in your life. You need a professional to help you, someone to answer your questions and guide you through the process. Someone who commits to a strict code of ethics." "... REALTORS® are experts—they have extensive experience staging the home, showing it and attracting qualified buyers to view it." "You know that raising a family takes hard work and commitment. Successfully selling a home does too. Let a REALTOR® who has the experience and knowledge, accurately price your home and show it to qualified buyers." As Douglas Gantenbein points out in a Slate article, "A realtor's license can be had after as little as 50 or 60 hours of training (the person who cuts your hair probably has 1,000 hours or more)." In California, for example, all one needs to get licensed is a high school diploma, a few courses (which can be taken online with open-book tests), and a passing grade on an easy multiple-choice test. For those who find the test too challenging, many of the exam's more frequently asked questions can be purchased online--along with the answers. After receiving a license, many agents take a brief ethics course in order to become a REALTOR. I've taken this course twice and both times the instructors went over the answers to the true/false exam before we filled in our answer sheets. how to use social media marketing" to "build your Rolodex." how social networking, blogging, and message boards can help agents "create real relationships that can lead to business opportunities." "Using PowerPoint® for Listing Presentations That Pop"
how to use Facebook, LinkedIn, and Twitter "as effective marketing tools for yourself and your services." how to incorporate podcasting and video "to boost your brand and your business." how to generate business from blogs. "20 online affordable marketing tips for generating business." "how you can generate free publicity about your services, listings, expertise, and accomplishments." "121 Ways to Market Yourself and Your Business"
how to "design a plan to generate a steady flow of buyers and sellers." Other sessions didn't strive to build expertise so much as teach agents how to package the expertise of others. One session, for example, explained "how to collaborate with a professional stager" (paid for by the seller) "in order to get more listings and create a long-lasting referral network." Another talked about how to price homes using an online service, Clarus MarketMetrics®--noting that the firm's marketing reports are "invaluable as a prospecting tool." There were no sessions on negotiating techniques, identifying problems with homes, real estate tax laws, building code trends, zoning issues, new appraisal guidelines, lending restrictions on condos, arbitration, or photography. There was one course on risk management, but it was about managing the agent's risk, not the client's: "You work hard to earn your commission – attend Bill Jansen’s session to learn valuable risk management tools that you can use today to avoid claims and keep the money you earn." Agents aren't paid for giving advice; they're paid for selling homes--and good advice, unfortunately, often gets in the way of selling homes. If a buyer wants to make an offer on a home, the agent might know that the city plans to build a halfway house down the street, or that a foreclosed home is about to come on the market nearby, or that the material wrapped around the heating pipes looks like asbestos, or that the buyer's plan to borrow against her current home to finance the purchase won't convey many tax advantages, or that the pool's diving board will boost insurance rates, or that the "historical district" zoning will make remodeling costly. But pointing out these things could jeopardize the sale--and the agent's commission. Agents therefore have an incentive to know as little as possible about potential nuisances and problems with homes. If they know of a problem and tell the buyer about it, they could lose the sale. If they know and don't tell, they could get sued. Instead of offering their own advice, agents often advise clients to get advice from others. While purchasing a home, for example, buyers are usually asked to sign agent advisories recommending that they consult with an attorney, a tax advisor, a home inspector, a pest inspector, a chimney specialist, a plumber, an electrician, a roofer, a pool and spa service, an environmental hygienist, a licensed surveyor, a civil engineer to check for soil stability, a qualified sanitation professional if there's a cesspool, a well company if there's a well, the local building department, the local fire department, an insurance professional, the Homeowners Association, local schools, various city and county and state government agencies, the US Consumer Product Safety Commission, and a environmental hazards specialist to check for mold, lead contamination, asbestos, radon, methane, urea, formaldehyde, hazardous waste, electromagnetic fields, and other problems that the home and pest inspectors aren't qualified to detect. While buyers generally do hire home and pest inspectors, they otherwise tend to scrimp on professional advice--sometimes to their detriment. In California, for example, a large number of married couples elect to hold title as joint tenants with right of survivorship, a foolish and potentially costly choice for the vast majority of them. Were they to have consulted with an attorney, it's likely that most would have elected to hold their property either as community property or community property with right of survivorship. I'm not suggesting that agents attempt to replace specialists, but they could be more helpful. Home inspectors, for example, aren't usually qualified to identify chimney problems or mold, but they'll often tell buyers things like, "That chimney's got a pretty serious crack--you may want to bring in a chimney inspector" or "You might want to get that mold-like substance checked out." If agents were to point out serious problems early in the process, they could save their buyers time and money. By the time the home inspector arrives to point out the home's defects, a typical buyer has put at least $1,500 into a loan application, appraisal, and inspection fees, and has exulted about the home to family and friends. At that point, many buyers shrug off any problems with their homes and go ahead with their purchases without price adjustments. Buyers: Read disclosures carefully. It's common for sellers to hide big problems in a sea of minor ones, so you need to consider each item carefully. Buyers: Talk with neighbors before making an offer. Neighbors are often an invaluable source of information. Buyers: Take friends and relatives with you to the house before making an offer. Buyers: Check for upcoming foreclosures in the surrounding neighborhood. If some are forthcoming, that could signal that prices are likely to fall. If you find upcoming foreclosures, have your agent mention them in the cover letter to your offer, since it may help sway a seller into accepting a lower offer. Lots of websites provide information about upcoming foreclosures (e.g., foreclosures.com, foreclosure.com, realtytrac.com). About three months after a homeowner stops making payments, the lender usually records a Notice of Default (or NOD) against the property. The websites usually put the home in "preforeclosure" status at that point. After another three months or so, a Notice of Trustees Sale (NTS) is usually recorded, and at that point the home is usually about six weeks away from foreclosure. Errors and omissions insurance is intended to protect the agent, not the client. When recruiting clients, agents often point out that they're covered by errors and omissions insurance in case there are any problems with the transaction. The implication is that E&O insurance works like auto insurance, and that you (the "passenger") will be covered if the agent (the "driver") gets into a wreck. Not so. E&O insurance is designed to protect the agent, not the client. There are instances, of course, in which the insurance company's efforts to defend the agent will also help the client, but insurance company lawyers often throw clients under the bus to defend agents. Sales commissions needn't be split evenly between the listing agent and the buyer's agent. In many areas, the typical sales commission is either 5% or 6%, and it's usually split evenly between the buyer and the seller. Listing agents often encourage their sellers to go up to 6%, arguing (correctly, as we've seen) that offering a higher commission to buyers' agents will likely result in a faster sale. Many sellers struggle with the commission decision. Many are willing to offer 3% to the buyer's agent, but see no point in also boosting the listing agent's commission. As they watch their sellers struggle with this dilemma, it would be helpful if listing agent offered the following information: It's perfectly okay to pay the buyer's agent a higher commission than the listing agent. Many listing agents, though, stay mum. Stanley had one property that no agent would touch. The seller had it priced around $225,000 and would not budge. It was priced probably $35,000 over market. During the Nine Month period Stanley had this home in the system, he closed 39 loans for well over $8.5 Million. As of this writing, the original FSBO house has yet to sell. Did Stanley care? NO! Quite honestly, as long as the guy wanted to keep it on the market, he hoped it would never sell. Are agents professionals or salespeople? Many buyers think of agents as trusted advisors, but most real estate agents I've met think of themselves as salespeople, and the focus of much of their training is on recruiting prospects and persuading them to buy or sell as quickly as possible. 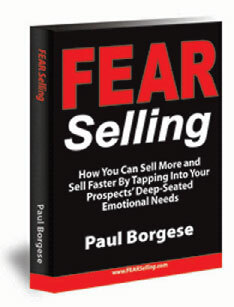 Not all training books are as egregiously predatory as Fear Selling, which teaches buyers' agents how to manipulate their clients into making faster decisions. For other examples of what some agents read, click here, here, here, and here.